While shopping online at our site leathermadness.com, you automatically abide by our Terms and Conditions. By placing an online order for any products binds us into a legal contract of purchase and sale. 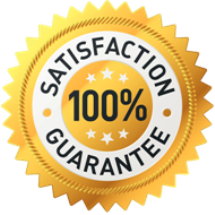 It also defines that the information you give us while making the purchase is not fraudulent, is accurate and up to date as per the requirements. 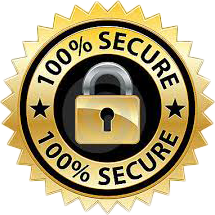 For security purposes we hold the right to monitor, online chats, or emails between us to ensure that all processes are being conducted accordingly with utmost safety. When you purchase a product, our system sends a confirmation email. If you don’t receive any email within 24 hours please contact us to inform us, otherwise your purchase may not have been recorded by our system. 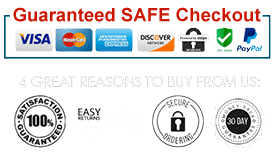 You will pay for your order securely using your PayPal, Visa, MasterCard, American Express and Discovery credit cards. We do not take orders through phone or through any other mean. You have to complete the secure checkout process by adding your products in to your card and entering your billing information on the checkout page. We do not store or have access to your card information for security purposes. We made great efforts to display the products accurately as they are, in the pictures. For any differences in your purchased product due to monitor screens or technical faults, may not be returned. Our website also includes external links, which means that anything you find on those websites or any information you place there do not fall under our premises and we cannot do anything to protect that information. For Returns, Exchanges and Shipping policies of Leather Madness please read Shipping & Return Policies. We also have a dedicated FAQ section for product and orders related questions for your ease.